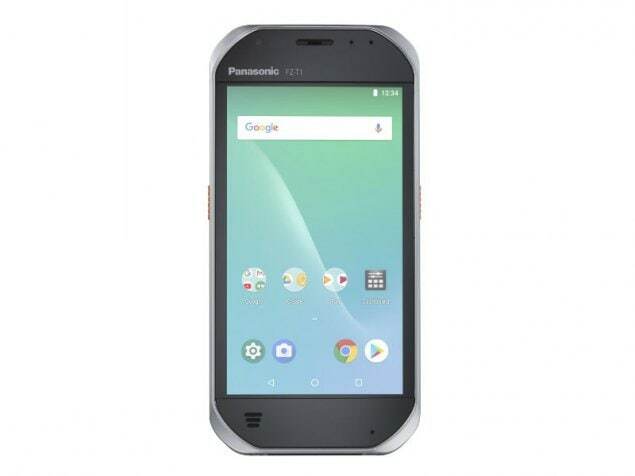 Panasonic Toughbook FZ-T1 smartphone was launched in June 2018. The phone comes with a 5.00-inch touchscreen display with a resolution of 720 pixels by 1280 pixels. The Panasonic Toughbook FZ-T1 runs Android 8.1 Oreo and is powered by a 3200mAh removable battery. It measures 154.00 x 75.00 x 13.10 (height x width x thickness) and weighs 240.00 grams. Connectivity options include Wi-Fi, GPS, Bluetooth and NFC. Sensors on the phone include Accelerometer.